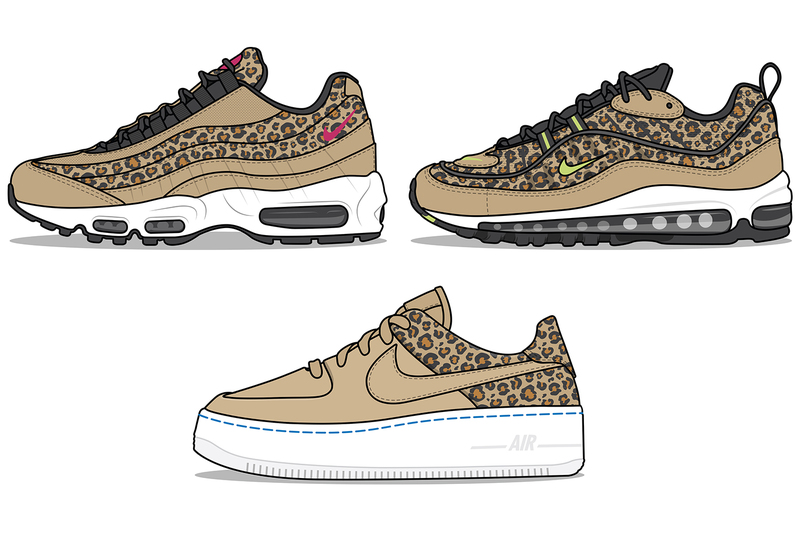 Nike certainly is no stranger to animal-inspired makeovers. Late last year we were treated to their eclectic collection of animal-inspired Vapormax’s, and who can forget their elephant print collaborations with Japanese retailer atmos. This season Nike bring in the new year with a women’s exclusive safari selection, this time handing three of their most coveted silhouettes the leopard treatment. Included in the line-up is the Air Max 95, Air Max 98 and the revamped Air Force 1 Sage; below we’ll be delving into each iteration’s feline features. First up, the Air Max 95. The striking iteration is layered in panels of leopard spots, offset by sumptuously smooth patent leather beige. Suede adorns the shoe’s toe box, while pops of ‘Hot Pink’ features to the shoe’s branding on the tongue, sidewall and insole. 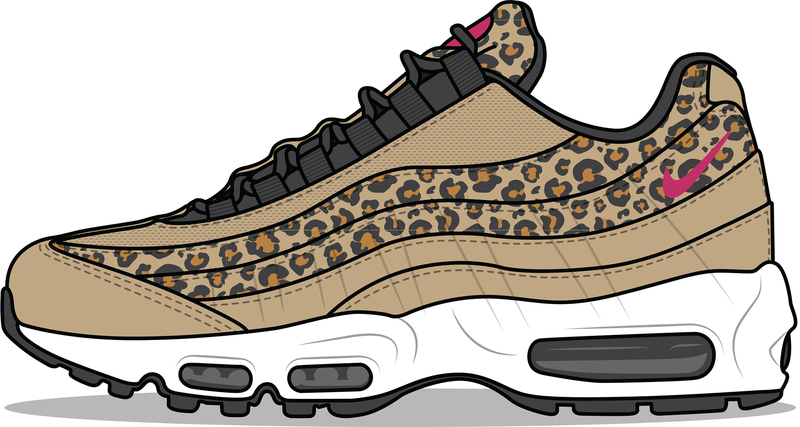 The 98 follows suit with its identical leopard detailing offset by creamy beige. However, unlike its predecessor, the silhouette’s branding is highlighted with neon and the uppers are adorned with touches of pony hair suede to its toe box and eyelets. What’s more, the 95’s patent leather has been substituted for panels of tumbled leather. Finally, we have the Air Force 1 Sage. This edition adopts a different guise altogether, opting for a smooth coating of beige suede to the top half of its uppers, while leopard dotting coats its lower half to deliver an eye-catching contrast. Swooshing embellishes the sidewalls in standard fashion, and an on-trend stacked midsole is positioned underfoot. 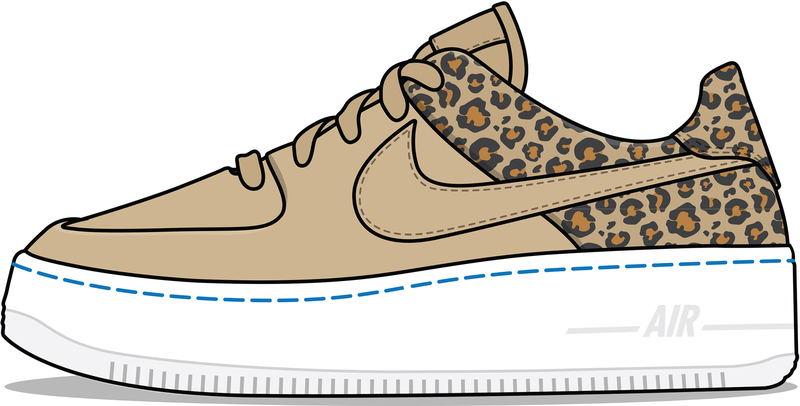 The Nike Leopard Print Pack will be arriving via the size? Previews App and in size? stores on Saturday 2nd February in women’s sizes, priced from £95-140.